We had our first appointment on Wednesday and everything went well. 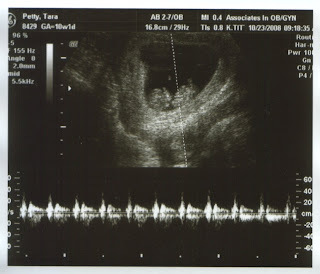 Our midwife tried to find the heartbeat using a hand held Doppler, but wasn't able to hear it. So she scheduled an ultrasound for today. 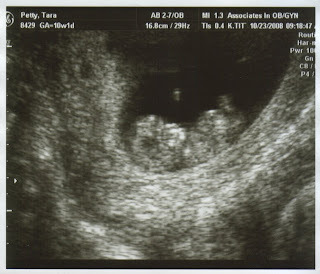 So we went in for the ultrasound today and they were able to find the heartbeat right away and it sounded great. 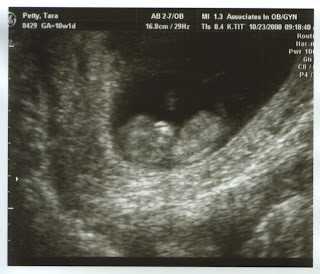 So many of my fears were put to rest when we saw our baby and heard his/her strong heart. It was amazing. Our baby is real. I am really growing a life. Our life has changed forever. 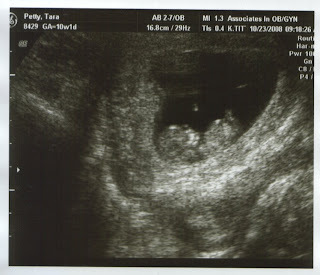 I am going to be a mom. And I couldn't be more happy or excited. What a beautiful baby and looks so comfortable resting and growing there! Very excited for both/all three of you! Stop to see me sometime. 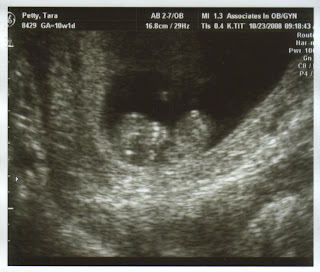 Seeing the baby for the first time IS so comforting. I am so happy for you and Tony! You are going to be wonderful parents!